The prospect of traveling into the US from a different country is easier than ever before. So many people travel for leisure and also for business purposes. If you haven’t been to United States in quite some time, you may not realize how easy it is to get an Electronic System for Travel Authorization on the web. In the past, you may have filled out forms that would allow you to have a 90 day visa for your stay. 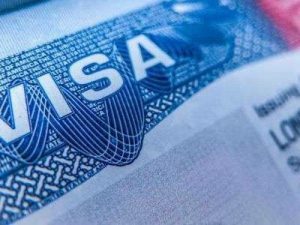 Today, if you are from a country that is preapproved by the Visa waiver program, it will take just seconds for you to be approved by this electronic system. This is how easy it is to get your ESTA visa. It is on this website where you can find the official Electronic System for Travel Authorization application. You can either click new application, or if you have been there before, you can check on your application if there was a delay. The easiest way to find this online is to simply type in DHS for Department of Homeland Security, followed by ESTA. This will take you directly to the page where you can submit your information to get your visa approved. The fee for the visa is $14. Once you pay that, the approval will go through. If there are any problems, or if you are refused entry into the United States after you have received one, then they can refund you $10. If you are approved, it will be attached electronically to your passport, and you won’t have to worry about anything from that point forward. You will be ready to pack your bags and get ready for your flight into the United States from your country of origin.